Honda CR-V 1.5 VTEC Turbo 2WD Review and Deals 2019 | What Car? The only standalone petrol engine that's available is a 1.5-litre turbocharged petrol. 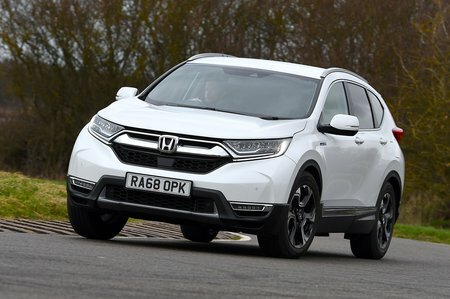 It puts out a reasonable 171bhp when hooked up to the six-speed manual gearbox (less than the CVT auto 'box delivers) and it’ll get the big CR-V from 0-62mph in 9.3sec (9.8 with four-wheel drive). Work it hard by keeping the revs above 2000rpm and it's quick enough, but we prefer the CVT’s smoother power delivery and extra torque. For towing or regularly carrying lots of people, rival diesels may prove a better bet.